The year was 1970, the show was Sesame Street, the crooner was Kermit the Frog and the song was “Bein’ Green” a lament about how ‘it’s not easy being green’. Interestingly enough, it was also the year President Nixon formed the heretofore non-existent federal Environmental Protection Agency. Fast forward 40 years, and while being green still isn’t easy, it is a desirable goal for anyone who cares about leaving our children a healthy eco-system to live in. Today, being green is no longer an expression of melancholy because it makes you less than others around you; it’s a call to action to make the world a better (greener) place. At Sudsies, we’re yellow (like the sun), we’re blue (like the sky) and yes, we’re green, like the world we want to live in. We practice what we preach and live every working day reducing, reusing and recycling everything imaginable. We use multiple cleaning processes and all of them in an uber-environmentally responsible way- reducing, recycling, purifying and reusing to the point where with one little ounce of cleaning fluid we can clean 15 garments and with one gallon we can clean 2,000! Amazing, isn’t it! And you should take comfort in knowing that our laundry uses only biodegradable detergents, conditioners and sizings, with bacteriostat additives. But that’s only the start. We’ve reduced our carbon footprint through an in depth vehicle maintenance regimen. We invested in water recirculation systems and installed low water usage equipment throughout our production facility. We overhauled our lighting and office equipment to be energy star rated and mercury free. We even have a motion detector in our storage rooms and bathrooms so the lights go out whenever anyone leaves the room. We use recycled paper, glass and metal in our lunch room, and went so far as to invest tens of thousands of dollars in high quality hangers suitable for recycling. Our plastic covers are biodegradable, we car pool or use public transportation to get to work, and the list goes on and on. We didn’t do it all overnight. It took time. It took thought. It took planning. It took money to invest in new technologies and supplies. For us, being green is a work in progress. Last year, we were accepted as a FOUR leaf member of the Green Cleaners Council, where we are constantly made aware of new things (big and small) we can do to make a difference. 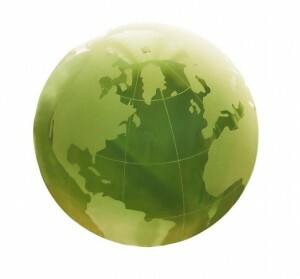 We are eager to rise to their ever evolving and intensifying challenges to do more, to be greener! For Sudsies, green isn’t a fashionable fad that businesses are wearing this year, green is who we are – whether it is in or out of fashion..